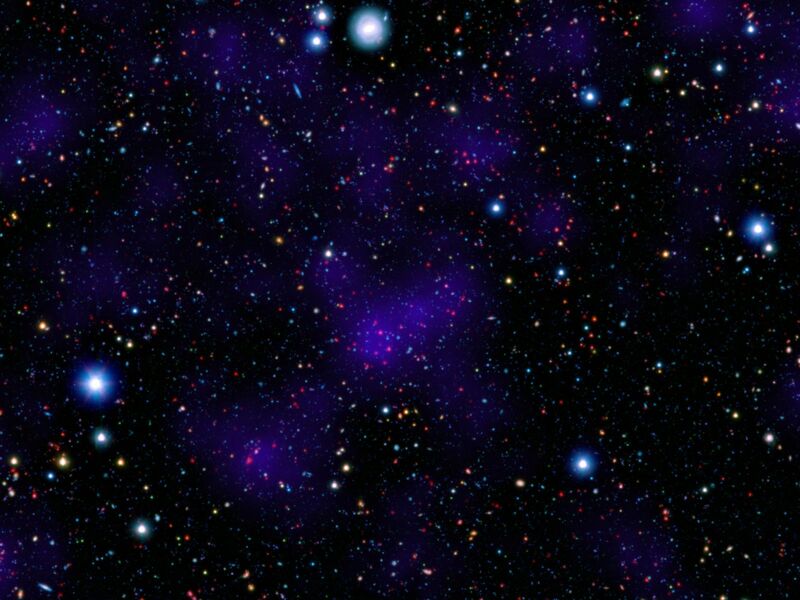 A surprisingly large collection of galaxies (red dots in center) stands out at a remarkably large distance in this composite image combining infrared and visible-light observations. 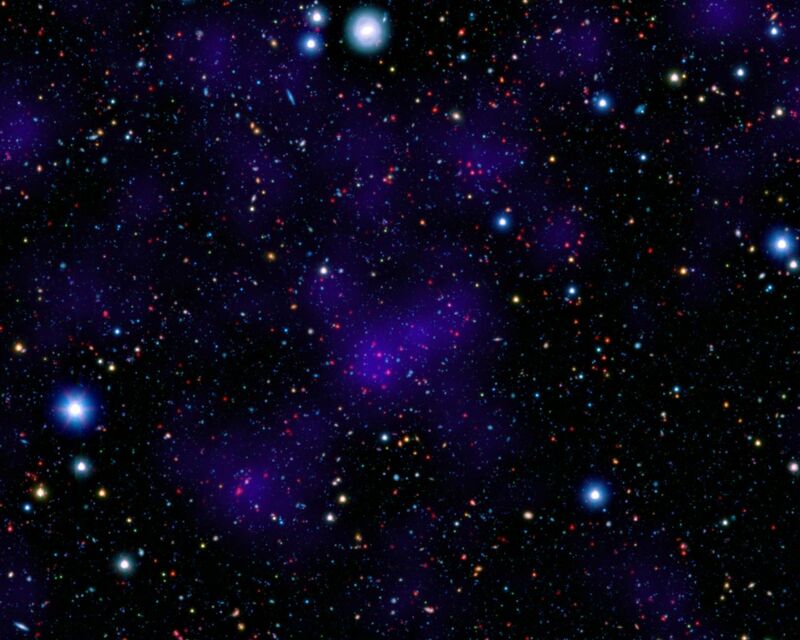 NASA's Spitzer Space Telescope contributed to the infrared component of the observations, while shorter-wavelength infrared and visible data are provided by Japan's Subaru telescope atop Mauna Kea, Hawaii. Looking out to this distance, the cluster appears as it was 9.6 billion years ago, only about three billion years after the Big Bang. 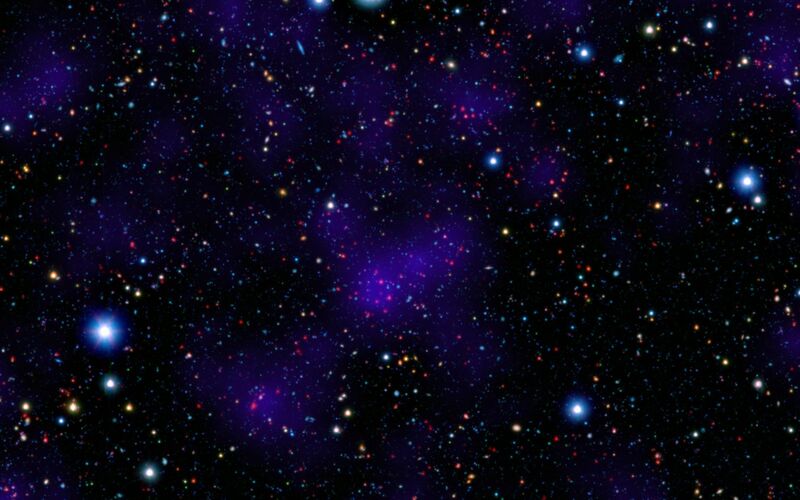 Astronomers were surprised to find such a "modern" cluster at an era when its peers tended to be much smaller, presumably taking billions of more years to collect enough galaxies to reach such a size. Infrared light from Spitzer at wavelengths of 3.6 and 4.5 microns is displayed in red. Subaru observations of near infrared and visible light with wavelengths of 0.9 and 0.44 microns are rendered in green and blue, respectively. 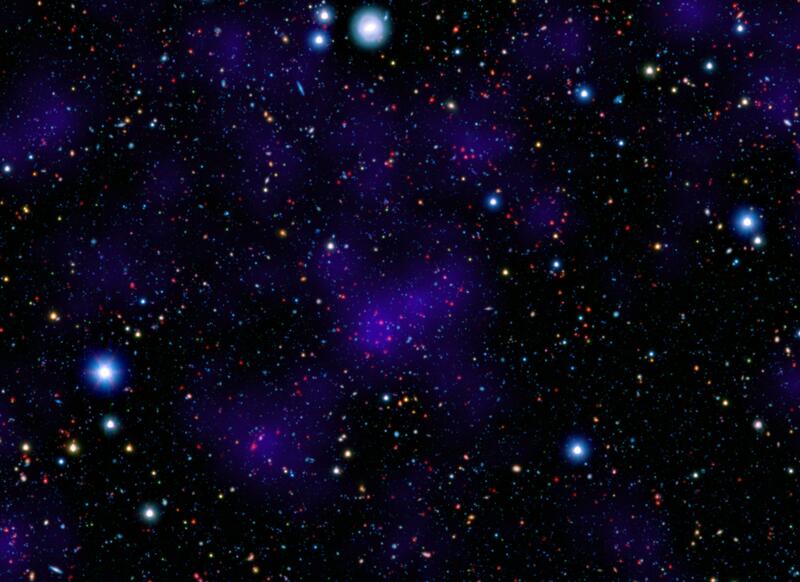 The purple overlay is a calculated measure of overall galaxy density and highlights the high concentration of galaxies in the distant cluster.